On the 28th of November 2010, pandemonium spread among foreign ministries throughout the world as WikiLeaks began publishing some 250,000 diplomatic cables sent between US missions around the world and the State Department in Washington. These cables included frank assessments by US diplomats of world leaders, governments and their host countries. Hailed by some as an important step towards transparent governance, US diplomats viewed it as a fiasco at best and a threat to US security at worst. Secretary of State Hillary Clinton stated that “It is an attack on the international community, the alliances and partnerships, the conversations and negotiations that safeguard global security and advance economic prosperity.” Other US lawmakers, such as former Senator Joe Lieberman, characterized the leak as a “an attack on the national security of the United States and an outrageous, reckless, and despicable action that would leave those responsible with blood on their hands”. It is fair to state that WikiLeaks had an immense impact on the diplomatic psyche. Until then, diplomacy was understood by its practitioners and scholars as a confidential art. The diplomat’s role was to gather information, and offer analyses, that would be viewed strictly by confidants, colleagues and allies. Traditionally, the diplomatic pouch was for certain “eyes only”. Then came WikiLeaks that tore the diplomatic pouch wide open. Beyond embarrassment, some diplomats wondered if they could continue practicing their art in the digital age. The risk of publication meant that diplomats would need to censor their reports to the ministry thus impairing their ability to offer important analysis. Moreover, threat of publication would impair diplomats’ ability to gather intelligence from sources in foreign governments. The information age has already impeded on diplomats’ role as representatives and channels of communications between governments. Now it threatened to diminish their role as information gatherers. 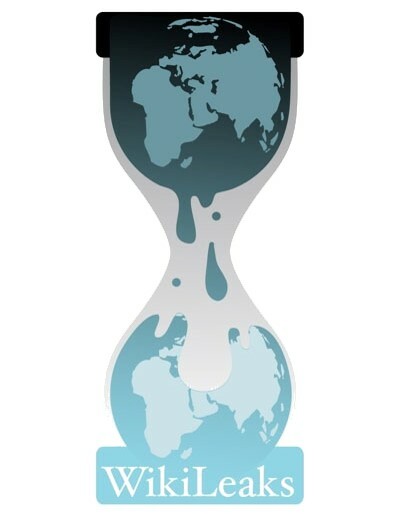 Yet revisited from 2015, WikiLeaks may be viewed as a positive event, one that forced foreign ministries to embrace digital tools and gave birth to the modern diplomat. As Janice Gross Stein suggests, journalists, foreign commentators, academics and foreign politicians were all surprised by the quality of analyses they read in the WikiLeaks documents. US diplomats emerged as experts on their host countries able to offer in-depth accounts of political and cultural transitions taking place around the world. US diplomats in Tunisia, for example, clearly stated that the ground was shifting under President Ben Ali. From WikiLeaks emerged the very model of a modern diplomat. While he may no longer hold a monopoly over communication and representation, he remains a foreign policy expert able to provide decision makers with information, analysis and forecasts that help them make sense of the world. At a time when crises are the norm, long standing nations unravel into chaos, and alliances shift from region to region, such analysis is priceless. And while it is true that David Camron can simply call Barack Obama, and that Angela Markel may follow events in Syria through live television coverage, all such leaders remain dependant on information and opinion provided by their diplomats, their boots and ears on the ground. Perhaps even more importantly, the modern diplomat is exceptional as he, or she, remain the only ones to interpret global affairs through the unique prism of their country’s national interests. While gathering information, and offering analysis, was once an element of a diplomat’s role, following WikiLeaks it became his raison d’être. WikiLeaks therefore demonstrated that even in the 21st century, the diplomat is far from superfluous. WikiLeaks may have brought about a genuine fear of digital tools among foreign ministries. The very characteristics of social media, its openness and propensity towards information sharing, must have seemed alien to diplomats well trained in confidentiality. Meeting the risks of the digital age meant that foreign ministries would need to train their diplomats in how to use digital communication tools thus avoiding another damaging leak. Such training meant that best practices and guidelines would need to be authored, classes and presentations prepared and a special budget put aside. Such training may be viewed in a positive light as it was the first step towards institutionalizing digital tools in foreign ministries. Given that MFAs are large institutions they rely on standard operating procedures, routines and bureaucracies to fulfil their tasks. Thus, one could not have expected MFAs to adopt new digital tools in one day. Rather, this was a prolonged process that include the formulation of new working routines and new procedures as well as a willingness to make and learn from mistakes. While MFAs are still institutionalizing digital tools, WikiLeaks was as an important catalyser for this process. Following the WikiLeaks publication, elements within the State Department and other foreign ministries may have realized that information now wants to be free. And if it is quarantined, it will set itself free (with the help of a Swedish activist). This realization may have paved the way towards greater transparency in foreign ministries given a desire to control what information is made public, and when. While the motive of such openness may still be control, it can also be regarded as an important step towards the Wilsonian view of “open covenants” of diplomacy. Since 2010, the State Department and other foreign ministries have dramatically altered their information sharing practices. The deliberations of the Geneva 2 conference on Syria (2014) were live broadcast to a global audiences through the twitter channels of foreign ministries and the agreement between Iran and the P5+1 was published online were it could be criticized and debated by an empowered demos. These examples demonstrate the leaps and bounds taken towards a more open form of diplomacy, one made possible by WikiLeaks. Finally, while WikiLeaks demonstrated the dangers of the digital world, it may have also illustrated some of its benefits. WikiLeaks was accompanies by a flurry of online activity. Netizens interested in the world around them, and the governments who rule it, debated the cables and their repercussions online. It was this heated, prolonged and insightful debate that may have demonstrated to the State Department that the online demos wishes to be engaged with, that it has opinions on world affairs and that it wishes to express these opinions. WikiLeaks may have thus brought about a conceptual shift in which digital and social media tools were viewed as a means towards speaking with online audiences, rather than at online audiences. In the wake of WikiLeaks we have witnessed the emergence of a more open and dialogic form of diplomacy rather than the opposite. As such, WikiLeaks may have “stunned” diplomats all the way into the digital age. For more on this issue, and #digitaldiplomacy, join me and diplomats from all over the world in Israel’s first digital diplomacy conference. More here. Posted in Arab Spring, digital diplomacy, diplomacy, diplomats, Foreign Ministry, Geneva, social media, State Department, Syria, Tunisia, twitter, WikiLeaks. Bookmark the permalink.